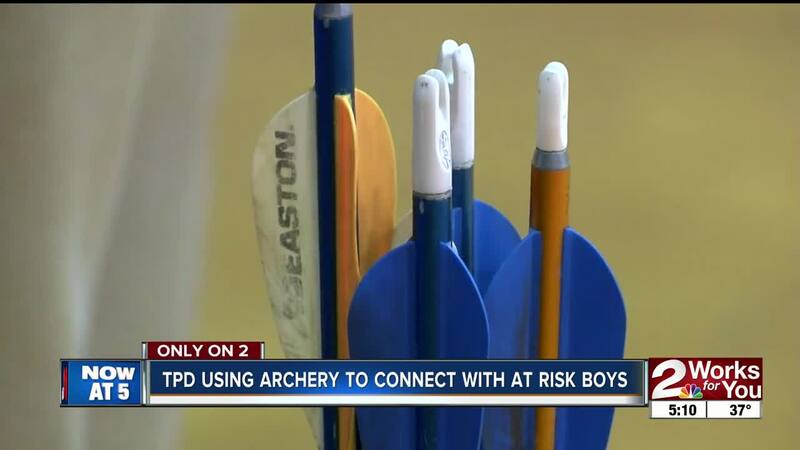 TULSA -- Tulsa police officers are using archery to connect with young men at the Tulsa Boys' Home through a fairly new program, Tulsa Police Activity League. Mario Gaytan says he wasn't on the right path. "Didn’t do a lot besides drugs I guess," said Gaytan, a resident at the Tulsa Boys' Home. He's working to get his life on the right track at the Tulsa Boys' Home, which he says, is better than his previous options. "Either dead, in jails, or institutions, and I don’t want to be none of them," said Gaytan. Mario is one of the participants in the archery course at the Tulsa Boys' Home. It was created through a fairly new program called the Tulsa Police Activity League. "I’ve been on the police department for 15 years and we haven’t had the ability to be able to use this time to make these connections," said Sgt. Ken Simpson, who is on the Tulsa Police Activity League. It wasn't easy for the boys to be around police officers, at first. "Being completely honest from my past experiences, it was a little intimidating," said Gaytan. But now things look a lot different. "We come in and they’re like, oh there’s so and so, and they come up and give us a hug and we’re just one of the guys at that point," said Sgt. Simpson. The program has been running for only five months, but they're seeing steady growth with skills, and personal development. "A lot of teaching points that they can take away from this and apply it in the classroom," said Sgt. Simpson. They learn breathing techniques, patience, and discipline in archery. But the more important lesson, is that they have a positive support system. "Honestly it’s real powerful because it sends us a message that yeah we did do wrong and we might have done bad things in our past lives, but now we’re taking a step forward and we’re able to get to share this love and share everything that we learned from them and they can help us out," said Gaytan.